Another popular method to view your favorite movies and TV shows is by using media streaming devices such as the Roku 4 streaming media player featured in this article. Roku has one of the best streaming boxes currently available, and the Roku 4 is considered their best offering to date. The Roku 4 is much larger than earlier models (6.5 x 6.5 x 0.8 inches), yet still remains compact enough to not be seen as obtrusive. There are plenty of connection ports on this device which include a USB, HDMI 2.0 w/ HDCP 2.2, Digital optical audio out, Micro SD and Ethernet. New hardware upgrades to the Roku 4 include a Quad-Core processor which makes for lighting fast functionality when accessing apps. Wi-Fi has also been updated to the latest 802.11ac standard for even more powerful wireless connectivity. (A minimum of a 15Mbps internet connection is recommended for best operational performance). The main attraction of the Roku 4 is its 4K streaming capability when connected to a 4K UHD TV via an HDMI port with HDCP 2.2. This will allow you to stream 4K video from sources such as Netflix, Amazon, VUDU, M-Go and YouTube, with more 4K content being added on a regular basis. And to make finding 4K content easy, Roku has a 4K UHD content app that lists all available 4K programming. Even if you don’t use the Roku 4 for 4K video streaming, you still have access to over 2500 channels (apps) which is more than any other streaming service provider with the exception of Amazon Fire TV. In my opinion, the Roku 4 is currently the best media streaming platform available. Its OS 7 operating system is second to none and offers users a very easy to use interface. It now supports 4K video streaming service from sources such as Netflix, Amazon and more, in addition to offering over 2500 channels (apps). So if you’re in the market for a very capable and excellent performing media player, then you will definitely want to check out the Roku 4. 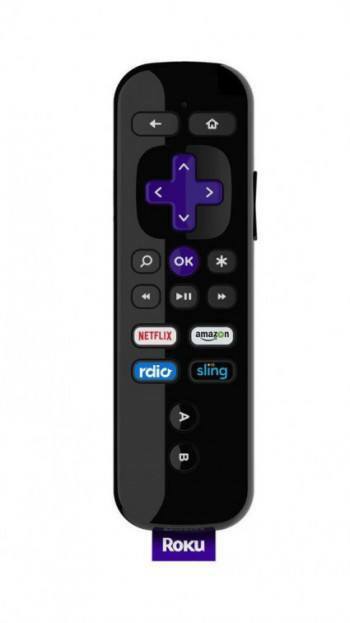 Click here to see Roku 4 video presentation. Digital stereo over HDMI and optical, Dolby Digital Plus Surround, DTS Digital Surround pass through over HDMI and optical.